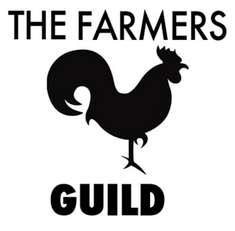 The mission of the Farmers Guild is to establish an integrated network of social and professional hubs across California where farmers connect, collaborate and find the resources they need to thrive within local food webs that stimulate stronger local economies, create social equity and sustain our natural resources. An agricultural community founded by farmers for farmers who collaborate toward the economic viability of local agriculture as well as the social networks necessary to attract, cultivate and sustain a new generation ready to work the land while building a healthier food system. To establish an integrated network of social and professional hubs across California where farmers connect, collaborate and find the resources they need to thrive within local food webs that stimulate stronger local economies, create social equity and sustain our natural resources.